For those nature lovers, having a chance to explore somewhere unknown, somewhere gorgeous and amazing is such a wonderful thing ever done. Therefore, they try to trek to many natural wonder of the world. Among all of these landscapes, Vietnam is really famous for having one of the most beautiful sight of nature still existing today. It is the Phong Nha – Ke Bang National Park, a complex system of caves and limestone that appeal an enormous amount of people to come and discover the beauty hidden deep into the nature. Having to say, the Paradise Cave (Thien Duong Cave) Vietnam, a part of this national park, has become an attractive destination that tourists find it hard to ignore whenever travelling to Vietnam. 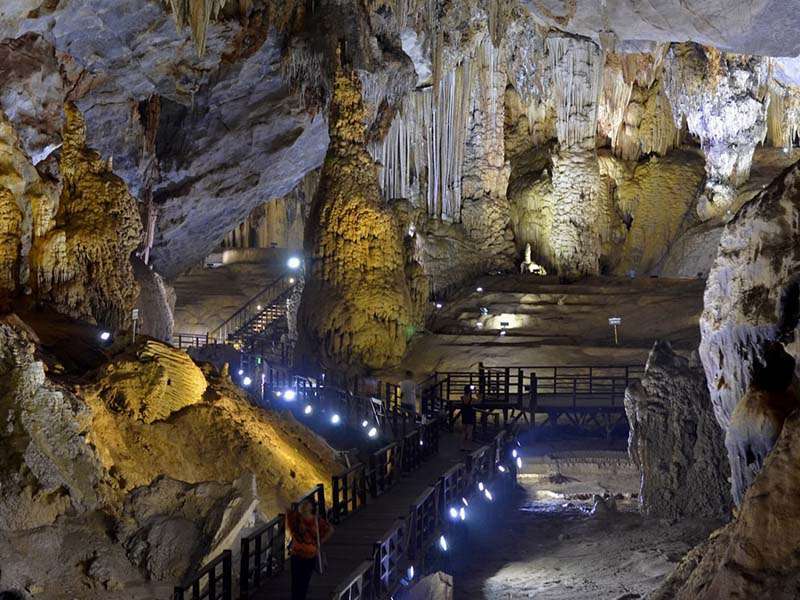 Paradise Cave, dubbed as “underground palace” heaven, is one of the wonders of the magnificent and magical world most which is nestled deep in the World Natural Heritage National Park Phong Nha Ke Bang, dating formed today about 350 to 400 million years. Overall, it owns a length of more than 31.4 km; the width ranging from 30m to 100m, up to 150m at its widest point; the height from the bottom up to the ceiling at about 60-80m. 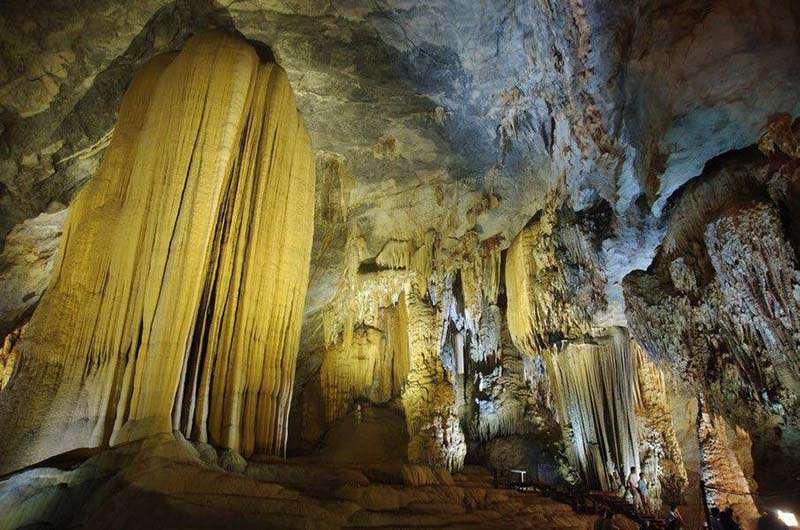 British Royal Cave Research Association appreciates Paradise Cave as the longest Dry Cave in Asia, one of the most spectacular caves the association surveyed over the world. Thus, not surprisingly, this cave is considered a breathtaking, magnificent and magical structure that discoverers easily think about a heaven palace on earth. In particular, the system of stalagmites and stalactites here retains a shimmering, fanciful beauty beyond the imagination of human. Paradise Cave is situated in Km 16, about 4km from the edge of the west branch of Ho Chi Minh trail in Son Trach commune, Bo Trach district, Quang Binh province. It is about 70 km from Dong Hoi city center to the northwest. 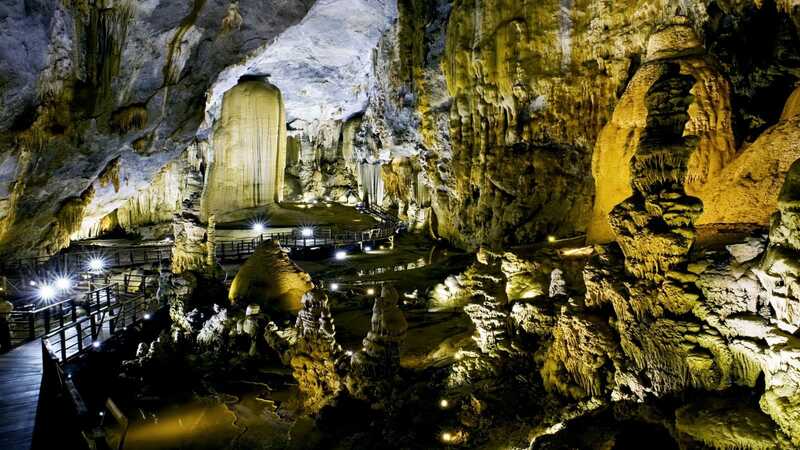 It is also about 25km from the cave to Phong Nha Cave to the north of Truong Son road. That means tourists can reach Paradise cave with different path conveniently. 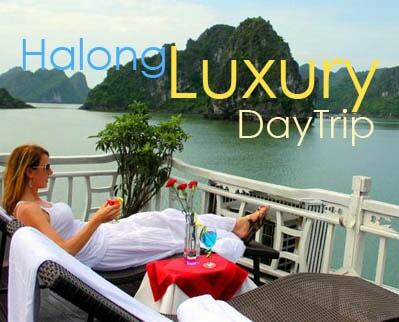 If you travel to Hanoi, you can take 1 hour flight to Dong Hoi City, or easily to catch the night train or bus to Dong Hoi, spend a night there before starting the trip to discover the Paradise cave. You can also reach the cave from Hue city, about 200km on road transfer. You can make your day trip to Paradise cave from Dong Hoi city (about 1.5 hours driving) or from Hue city (about 4.5 hour driving). And get on a buggy pass through dense forest for about 2km, then climb about 500 rocky steps, and you’re in.. Paradise. Begin your journey to explore the magical Heaven – the Eden on earth. Entrance fee to Paradise cave is 250,000vnd/person and you also pay about 40,000vnd for the buggy (electric car) transfer to and from the entrance of the cave. In Paradise Cave, there are several high and wide arches with numberless strange shapes. Deep in the cave, stalactites are much unique than elsewhere, even in Phong Nha or Tien Son caves. The big, round beautiful stalactites adjoining one another sparkle like stars in the dark sky. The cave’s mouth is about 9m. Its ceiling is towering and immense. The cave’s entrance which is relatively small, just barely for one person down, beneath stone wool of hundreds of meters has a spectacular look. A slope leads down to the platform of 15m long. The steep is created sophisticatedly with countless big round stalactite beads. In addition, there are many collapsed remnants in both two sides of the slope, along with sprawling stalactite columns as undergoing tectonic processes. Interestingly, the subtle and magnificent beauty of the cave is gradually revealed when light shines on numerous magic stalactites. The system of stalactites in cave has been constructed incredibly diversely and variously in shape. 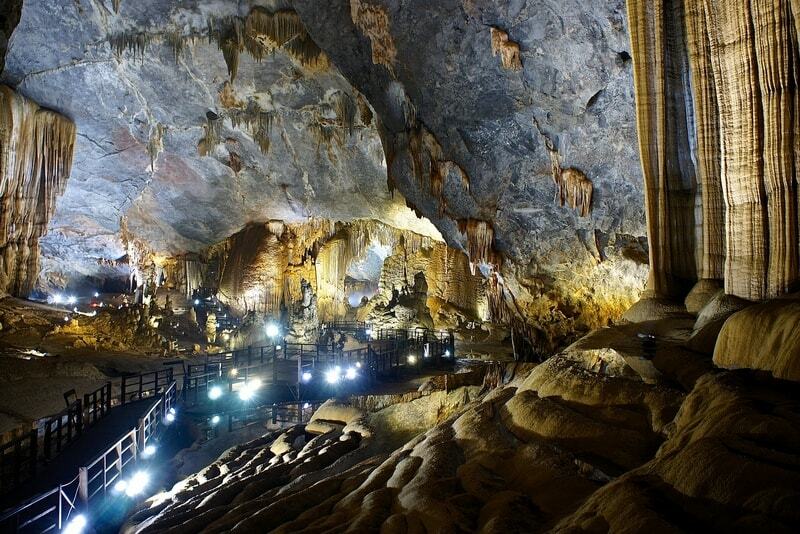 Notably, Paradise Cave owns many images which are similar to the cultural symbols of regions in Vietnam country. Approaching deeper into cave are bizarre stone fibers with the flexible wave shape as terraces. On the walls, stalactites flowed like the garish multicolored curtains. In the middle of the cave, many stalactite columns appear as oval logo of wet rice civilization, as Cham tower shape, or unique communal house shape of ethnic minorities. Each stalactites block displaying its own beauty has created a mystical paradise. The system of stalactites continues to be erected thanks to water drops falling from the cave ceiling. 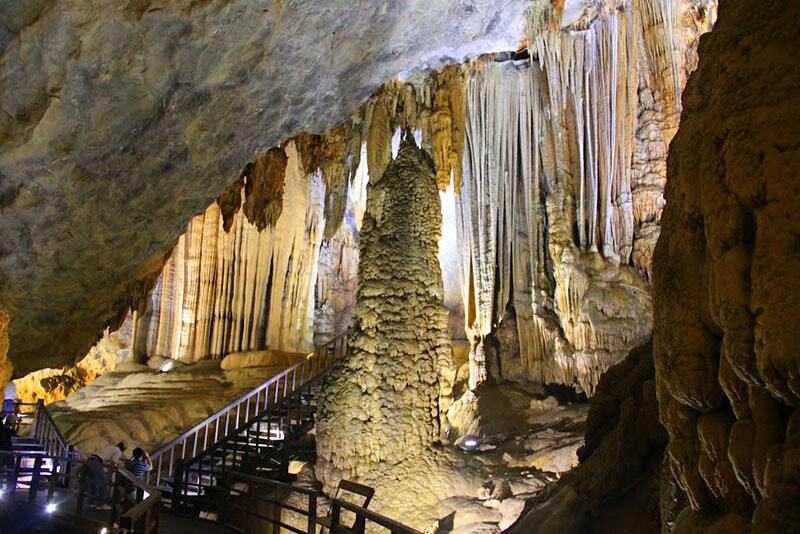 Paradise Cave Vietnam is worth the ideal attractions in Phong Nha – Ke Bang. It would not be wrong to state that the Paradise Cave as such a masterpiece that our mother of Nature has given to Vietnam because it is eventually hard to believe that they are creations of the nature. No wonder tourists find Paradise Cave beautiful and appealing that it is often listed in the trip. Tourists are highly recommended to reach here once in a life time and experience an amazing wonder of the world.